This hotel lies just 18 km away from the culturally-rich city of Barcelona. It is just a 30 minutes' driving distance away from the golden-sand beaches of the Costa Dorada. The charming town of Mollet del Valles is located nearby, where guests will find a choice of typical bars and restaurants. The forests of the Gallecs Natural Park is located within easy access of the hotel. The old parish church of Santa Maria dels Gallecs is just a short distance away from the hotel. This charming hotel is immersed in culture and history. 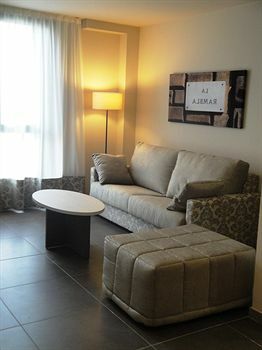 The guest rooms are tastefully designed, featuring soothing tones for a peaceful ambiance. The hotel offers facilities and services to meet the needs of every type of traveller. location: The property is located in the centre and best commercial zone of Esplugues de Llobregat, a district at the outskirts of Barcelona. 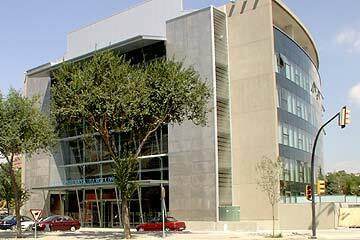 It is just 3 km from the north entrance of Avenida Diagonal in Barcelona. Connected with Barcelona's main street network by Ronda de Dalt and Ronda Litoral giving direct access to A-2 motorway (Lerida-Madrid & Tarragona-Valencia), A-16 (Sitges), A-17 (Girona-Costa Brava-France). By public transport you can take the tram, less than 5 min away, to Barcelona city centre. There are also plenty of buses connecting to the city centre. rooms: All rooms are in excellent condition and completely equipped with central heating, air conditioning, full bathroom with shower(no baths available). , television with satellite dish receiver and telephone. Some are adapted for the disabled. restaurant: A new and very spacious restaurant-cafeteria is available. exterior: Building of modern construction. lobby: Medium in size. Reception is on your left with some seating area further ahead. general: The state of this property is of a very high standard and with good connections to Barcelona city centre. There is also laundry service and dry-cleaners, car park with independent entrance at the rear of the building, terrace and fax service at front desk. (07/11 dv). 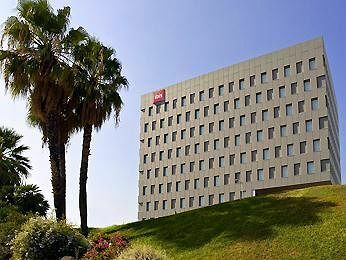 Property Desc:Property Location When you stay at NH Porta Barcelona in Sant Just Desvern, you`ll be connected to the convention center and close to RCDE Stadium and Monastery of Pedralbes. This hotel is within close proximity of Palau Blaugrana and FC Barcelona Museum.Rooms Make yourself at home in one of the 99 air-conditioned rooms featuring minibars. Complimentary wireless Internet access keeps you connected, and satellite programming is available for your entertainment. Private bathrooms with bathtubs feature complimentary toiletries and bidets. Conveniences include phones, as well as safes and desks.Amenities Take advantage of recreational opportunities offered, including a spa tub, a sauna, and a fitness center. This hotel also features complimentary wireless Internet access, wedding services, and a television in a common area.Dining Satisfy your appetite for lunch or dinner at Porta Barcelona, a restaurant which specializes in Mediterranean cuisine, or stay in and take advantage of the 24-hour room service. Wrap up your day with a drink at the bar/lounge. Buffet breakfasts are available daily from 7 AM to 10:30 AM for a fee.Business, Other Amenities Featured amenities include a business center, complimentary newspapers in the lobby, and dry cleaning/laundry services. Planning an event in Sant Just Desvern? 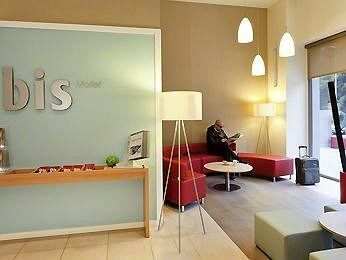 This hotel has 237 square feet (22 square meters) of space consisting of conference space and meeting rooms. Self parking (subject to charges) is available onsite.Room Info:Know Before You Go Cash transactions at this property cannot exceed EUR 2500, due to national regulations. For further details, please contact the property using information in the booking confirmation. Children 11 years old and younger stay free when occupying the parent or guardian`s room, using existing bedding.
. 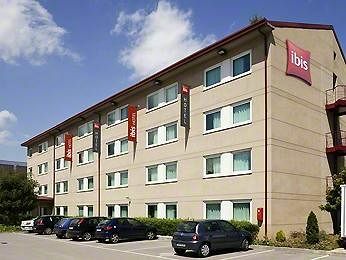 The Catalonia Bristol Hotel is located in the centre of the industrial park of Llobregat and in a residential area of Sant Andreu de la Barca, 20 minutes from Barcelona. Rooms come with free Wi-Fi.In your free time you can relax out on the sun terrace and the outdoor swimming pool in the garden.. . . Located 500 metres away, Sant Andreu de la Barca Train Station connects you with Plaza Espanya and the Fira Exhibition Centre in 35 minutes.. The hotel has rooms that are ideal for meetings, conventions or banquets and also offers a bar and a restaurant with Mediterranean cuisine as well as parking facilities.. 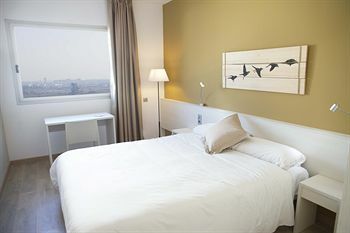 The B&B Hotel Viladecans is the perfect place to stay, for either leisure or business travel, due to its good location and direct access to Barcelona City center, ''la Fira Gran Via 2'' and ''la Fira de Barcelona'' in España Square, and Barcelona's International Airport. 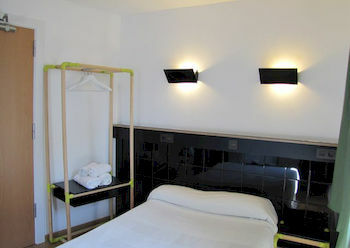 The hotel is completly new and offers quality accommodation. It has 100 rooms of fully functional design, all of the exterior, completely soundproof and with natural light. Our rooms have free high-speed WiFi, independent air conditioning with both cooler and heater systems, 24'' LED LG TV and a comfortable working desk. All rooms feature a wide bathroom with either rain shower or bathtub and a hairdryer. Also you have the option to choose between to different mattress hardnesses and we have a pillow menu to choose the one that best suits your rest. 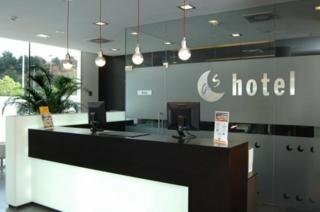 The hotel is located next to Carrer de la Tecnologia street, next to the C-32 highway and in front of the train station in Viladecans, connecting with Sants Station in only 15 minutes. **American Express cards not accepted. *When booking more than 5 rooms, different policies and additional supplements may apply. *Pets: Only guide dogs are allowed. *HB004595. 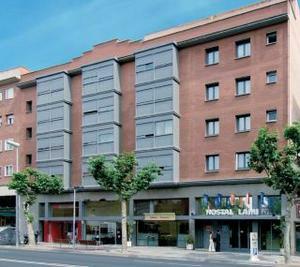 The 3-star NH Cornella offers comfort and convenience whether you`re on business or holiday in Cornella De Llobregat. The hotel offers a wide range of amenities and perks to ensure you have a great time. Take advantage of the hotel`s free Wi-Fi in all rooms, wheelchair accessible, 24-hour front desk, facilities for disabled guests, luggage storage. Guestrooms are designed to provide an optimal level of comfort with welcoming decor and some offering convenient amenities like television LCD/plasma screen, towels, closet, wooden/parqueted flooring, internet access – wireless. Recuperate from a full day of sightseeing in the comfort of your room or take advantage of the hotel`s recreational facilities, including outdoor pool, solarium, garden. 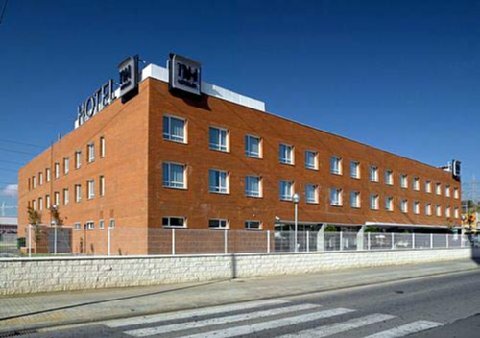 Friendly staff, great facilities and close proximity to all that Cornella De Llobregat has to offer are three great reasons you should stay at NH Cornella. City TaxFor all guest bookings with period of stay from November 1st 2012 onwards, a city tax must be paid directly to the hotel during check out for a maximum of 7 consecutive nights.5* Hotel: A city tax of 2.25 Euros + VAT per person per night in Barcelona and Catalonia;4* Hotel: A city tax of 1.10 Euros + VAT per person per night in Barcelona (0.90 Euros + VAT in Catalonia);Rest of Hotels & Apartments: A city tax of 0.65 Euros + VAT per person, per night in Barcelona (0.45 Euros + VAT in Catalonia).This is an additional charge for guests over the age of 16 and it is NOT INCLUDED in the room rate.,American Express, Visa, Euro/Mastercard, Diners ClubGuests over 11 years old are considered as adults. Page rendered in 0.4498 seconds using 2.24 MB (6 MB) of memory.